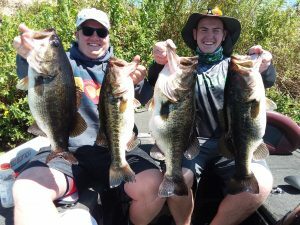 Austin Bouchard and his friend Seth Graybill caught some Okeechobee GIANTS with these beauties. Austin is the one on the right and in his right hand he is holding a 9lb 1oz. 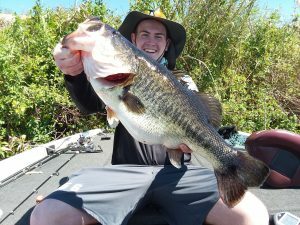 beast and in his left a 6lb 13oz bucketmouth and Seth Has a 7lb 3oz and 5 lber as well. We caught a total of 40 or so fish give or take. We also saw a couple of eagles, lots of gators, Great blue herons, cormorants, white herons, and many more of Okeechobee wildlife as they caught these beauties. We have caught some great fish this last couple weeks come and see us!